Three years since its launch in India back in 2013, the Honda Amaze sorely needed a shot in the arm. 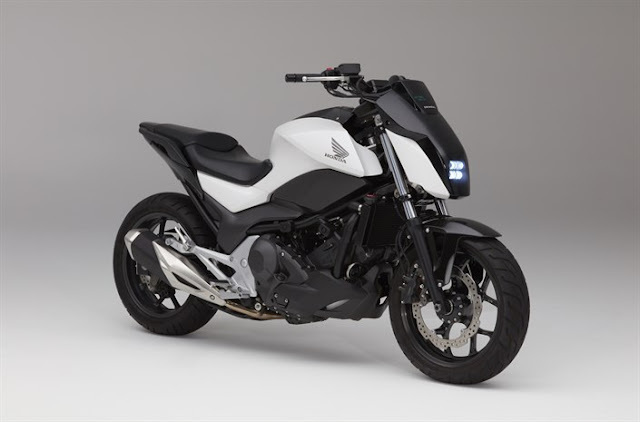 Once a game changer for Honda in the Indian market, the Amaze witnessed a steady decline in sales due to fierce competition. Honda finally rolled out a face-lift to extend the Amaze's run in a segment highly dominated by the market leader Swift Dzire. Is it good enough? 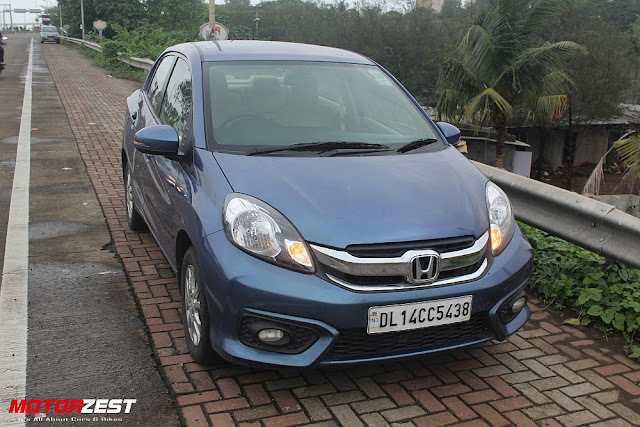 In this review we test the 2016 Honda Amaze petrol automatic and compare it with its competitors. The Swift Dzire VXi is the cheapest automatic you can buy in the compact sedan segment. While the Ford Figo Aspire with a bigger 1.5-litre petrol engine is the most powerful compact sedan generating a 110bhp of max power. 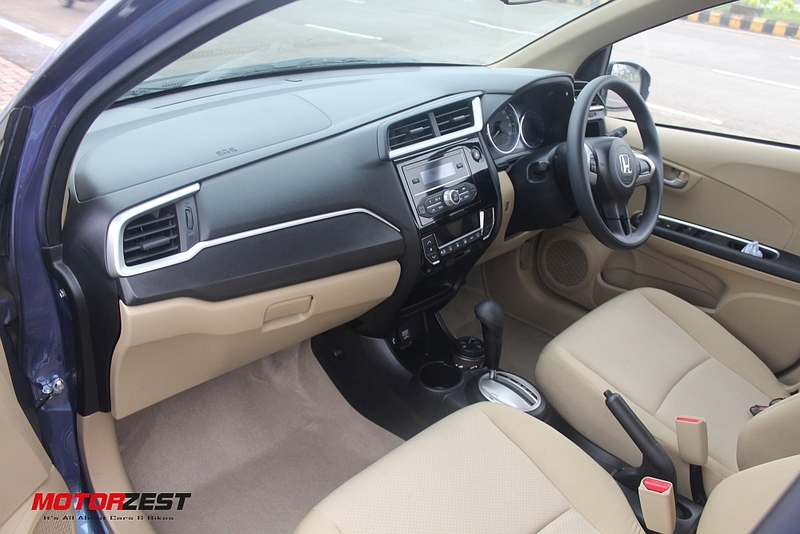 Tata Zest automatic is only available with diesel engine option hence we would not compare it with the Amaze. 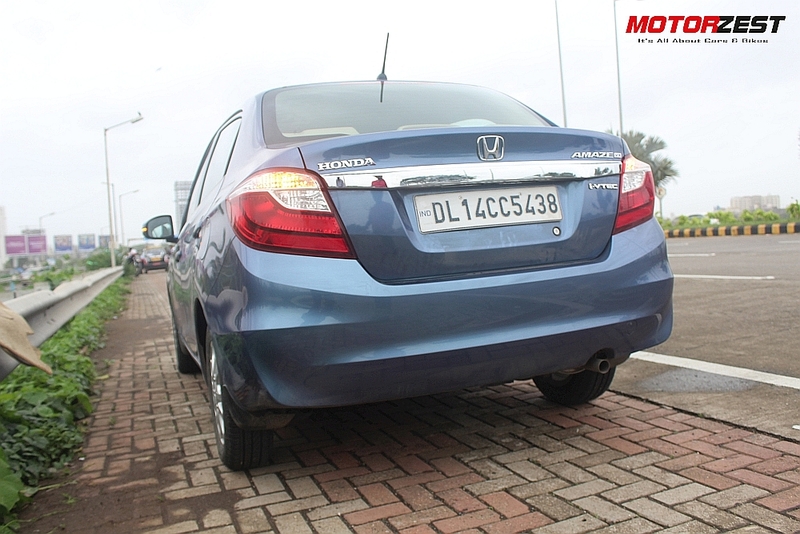 The 2016 Honda Amaze has quite a few exterior upgrades compared to the older version. It gets a new bumper which looks more aggressive and quite obviously is derived from the Mobilio. It has a more prominent chrome plated radiator grille and a new tail lamp design. Overall the new Amaze ditches the Brio-like design and adopts a more aggressive Mobilio-like design in the front. The length, width, height, wheelbase, ground clearance remains the same as compared to the old Amaze. Compared to its rivals Xcent, Dzire and Zest, the Amaze looks and feels more premium and upmarket. It is tough to decide between the Amaze and the Figo Aspire, on which one looks better, and we leave it to you to decide between these two. As we always say, looks are subjective! 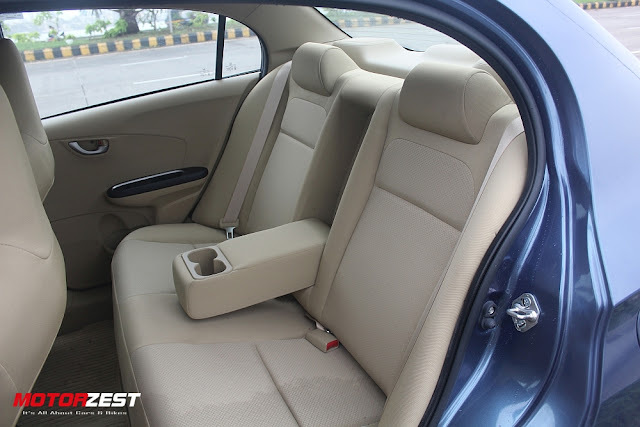 Honda has done quite a lot of changes in the inside to put Amaze back in contention for the compact sedan crown which has always been with the Dzire ever since its launch. The dashboard is completely different from the outgoing Amaze and is the first thing you will notice once inside the car. 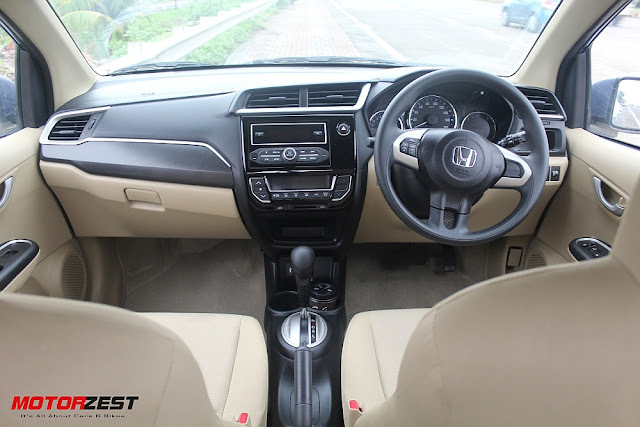 Apparently the dashboard has been directly taken from the Honda BR-V showcased in 2015 at the GIIAS and IIMS (Indonesia) auto show. The new dash is clean and easy on the eyes compared to the earlier one, big buttons and display makes life easier for the driver. The change feels very refreshing and increases the appeal of the car from the inside. The speedometer, tachometer and the multi-info display dials is again borrowed from the current Honda City (launched back in 2014). There are plenty of small stowage spaces for your coffee, wallet, mobile, coins and toll tickets. Quite often we find manufacturers neglect these small things which really makes the driver's life easy when he/she is driving alone. 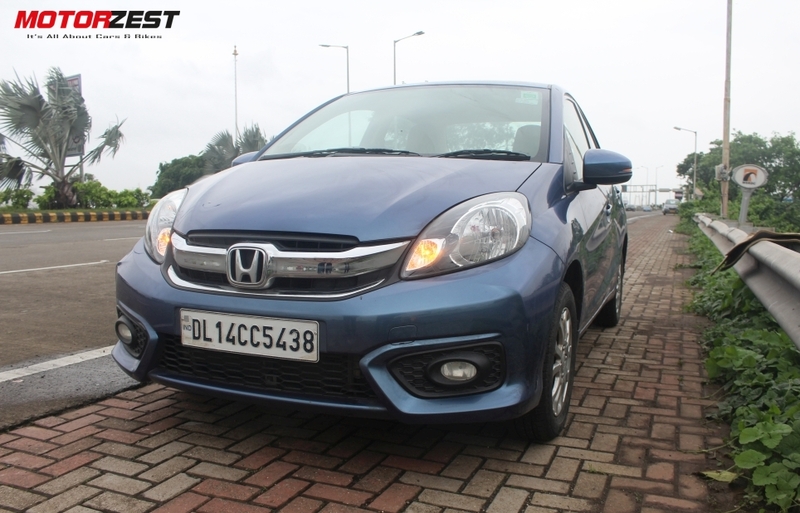 The Honda Amaze ticks all the necessary boxes in this department. With 89 horses pumping out from the 1.2 litre petrol i-Vtec engine the Amaze is the second most power automatic in its segment. (See comparison chart above for more details.) It produces a decent 109 Nm of torque and is mated to a CVT. Yes, you read that right. 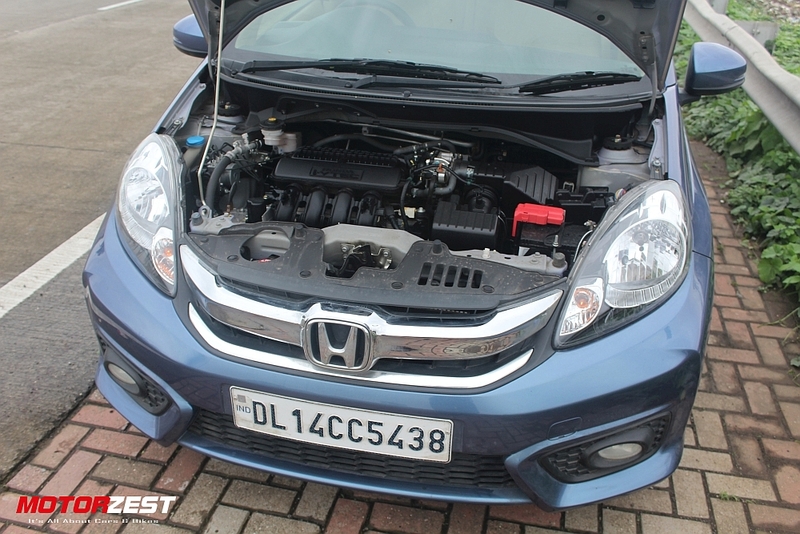 Honda has offered a CVT transmission on the Amaze which makes it the only compact sedan in the Indian market to have it. CVT (Continuously Variable Transmission), in simple language, is a type of automatic transmission system in which there are no physically distinct gears or is a type of transmission system with infinite gear ratios. Thus CVTs are a lot more smoother and efficient compared to the AMTs (Automated Manual Transmission) and traditional torque-converter based transmissions. Thus among its rivals the Amaze offers a smoother ride experience with no jerks. Its AMT based rivals such as the Xcent, Zest, Aspire and Dzire (diesel) offer a jerkier ride compared to the CVT based Amaze. In the D-mode the Amaze is tuned more towards being fuel-efficient than fun to drive. The throttle response is dull and the engine revs around the 3,000 - 3,500 rpm band. It is the best mode to cruise on the expressways for hours at a decent speed of 110 kmph without stressing the engine and saving some fuel at the same time. But when it comes to overtaking, the D-mode does not inspire much confidence. You need to shift the the Sports mode (S-mode) to get some quick response from the engine on the tap. Put the Amaze into the S-mode and the engine comes to life. It is quick to respond to the throttle, revs high at 4,000 - 4,500 rpm and makes overtaking a bit more easy. If all things are positive about the Amaze, then why only 3 out of 5 rating? The answer to this question is the poor highway etiquette of the Amaze that results in a low score in the performance section. The Amaze has a very bumpy ride and fails to stick to the road at high speeds to give you enough confidence to go above 120 kmph. The car swaps lanes on the slightest of bump on the road and often tries to fly in the air. 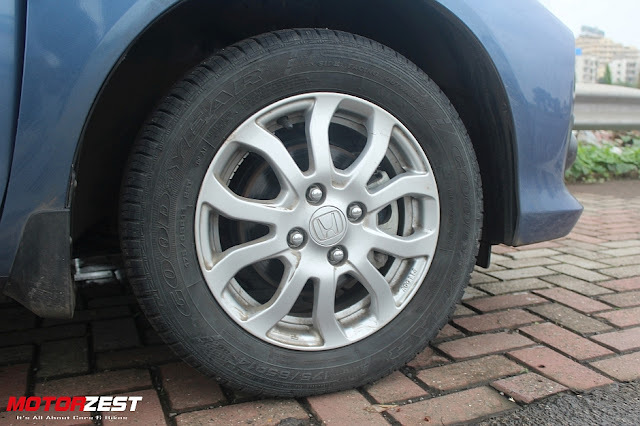 We tested the car in wet weather conditions on the Mumbai-Pune expressway and were not impressed with the slippery Goodyear stock tyres on the Amaze. We had few moments where the tyres lost contact with the wet surface and glided from the first lane to second lane from the divider. In dry condition, the Amaze really isn't good enough to drive above 120 kmph. The ride is too bumpy for the driver to handle and the rear passenger to enjoy the drive. The brakes are not the sharpest in the segment we have seen but are decent enough to keep you safe. The steering is on the heavier side with little feedback, being a Honda we expected the steering to be much lighter as in the City and the Brio. A lighter steering is obviously a boon in city traffic but driving enthusiasts would prefer a much more precise and heavier steering that gives accurate feedback from the road. Fuel efficiency of the Amaze, for an automatic is decent, we managed to get a range between 8.4 kmpl (worse) to 16.4 kmpl (best) in various driving conditions and modes. In bumper to bumper traffic expect the Amaze to return a low (8.4 kmpl) fuel economy while on the highway it can return upto 16.4 kms-a-litre. Although the Amaze is quite comfortable at low speeds on broken roads and even on flat surfaces, it changes into a not so comfortable ride with a little aggressive driving. We had the rear passengers complain about the bumpy ride even at decent speeds. Clearly you will have to drive the car in the D-mode to make it pleasant for all passengers on board. 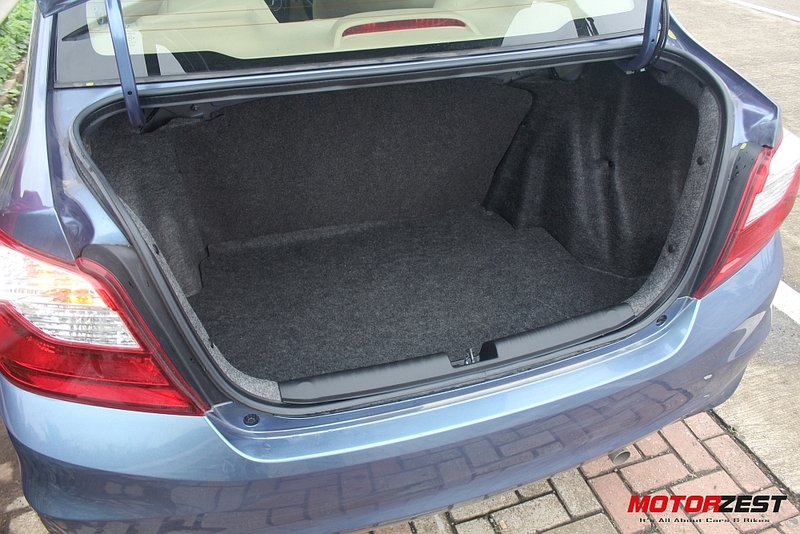 With 400-litres of bootspace, the Amaze can pack in a lot of luggage in its segment and is marginally smaller (7-litres) than the Xcent which has the largest bootspace. For a comparison, the segment king (Dzire) has only 320-litres of bootspace even after being 5mm longer than the Amaze. The thin seats at the front makes more room for the rear passenger while marginally affecting the comfort of the front ones. For the driver the seat is height adjustable and gives basic support on the sides. We managed to put on a 3-hour continuous drive and were satisfied with the comfort levels which could be improved nonetheless with better seats. The Amaze VX CVT comes with only dual airbags in the front and ABS with EBD along with front fog lamps and rear screen defogger. Introduction of TCS and ESP would make it a better ride in wet weather conditions. The Amaze CVT offers the smoothest ride of all automatics in its segment with decent fuel economy. 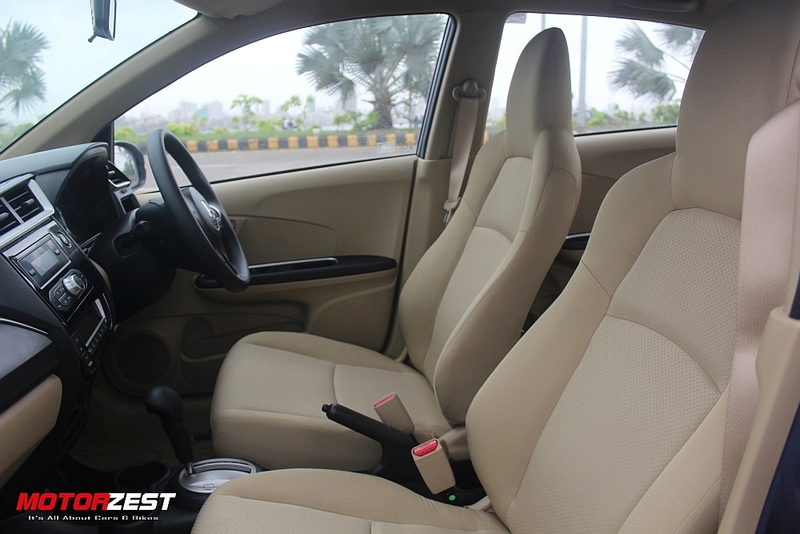 It falls short on performance on the highways and comfort for rear passengers due to its bumpy ride. The more powerful Ford Aspire 1.5 AT trumps the Amaze in all departments except the AMT jerks and fuel economy. The Amaze CVT is the only fuel efficient petrol-automatic compact sedan in the market with a comparable price tag. 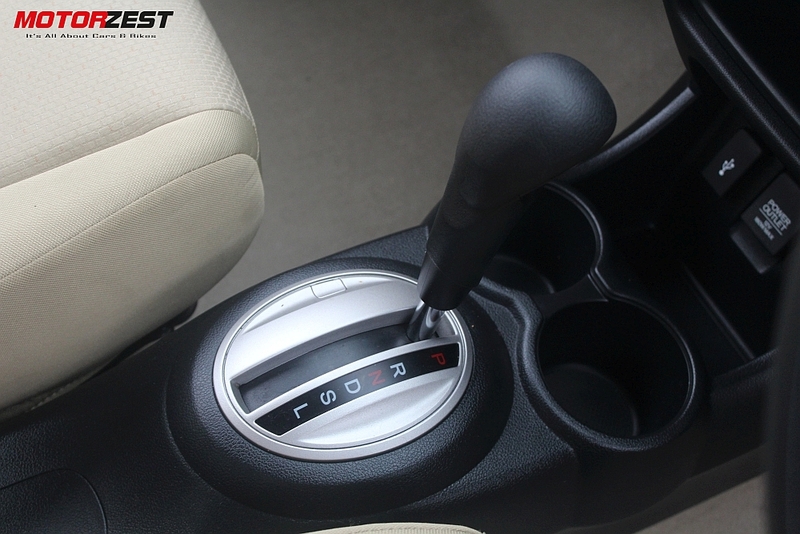 The Dzire petrol automatic which comes with a 4-speed torque converter which is not fuel efficient at all. So if you are looking for powerful petrol-automatic compact sedan with good looks, Figo Aspire is you default choice. But if you are looking for a jerk-free, fuel efficient petrol-automatic compact sedan with good looks and are ready to compromise driving pleasure the Honda Amaze VX CVT is the best in the market at the moment.